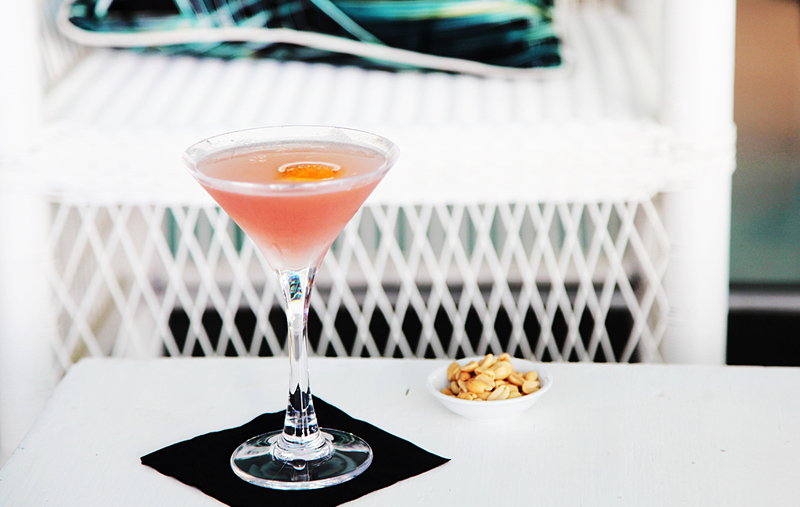 Summer = time to get out of the city and submerge yourself in salt water, cocktails, and everything else that involves absolutely zero stress. That means you obviously need to pack your bags and head north to the sunshine state, namely: the Sunshine Coast. If the name is anything to go by, we think you’re going to have one very chill holiday. For the next week Virgin will be running a special on flights directly to paradise (AKA, the Sunshine Coast) which will see you as far away from work as possible for less than $130 bucks one way. So you can literally get on a plane, and be right in the heart of the Sunshine Coast by dinner—no transfers, no trains...too easy! 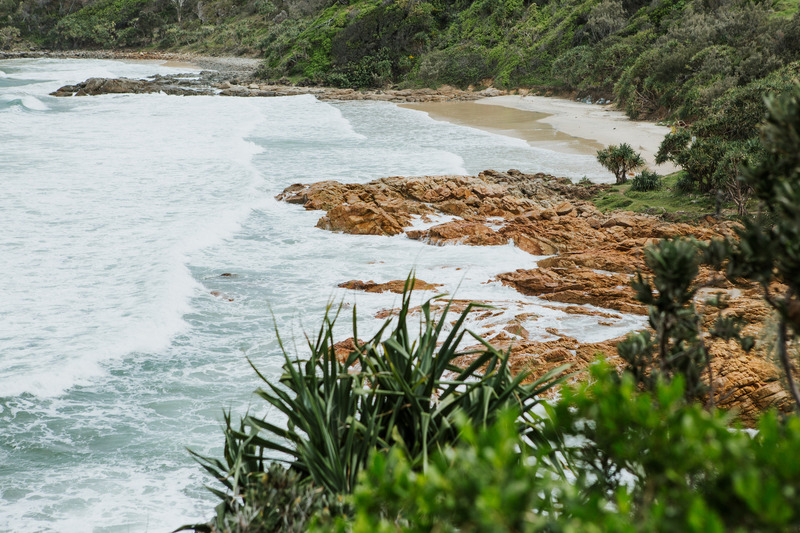 So, if you’re down to get your relax on, explore hidden beaches, go chasing waterfalls, and devour ridiculously tasty food keep reading because we think you might just fall in love with the Sunshine Coast. Be warned, though, the Sunshine Coast is huuuuge. So we’ve broken our ~relaxing~ guide up into regions so you can plan your trip like a total pro (read: local). Most of us are familiar with Noosa (and its nickname as the relaxation capital!). It’s the beachside spot us southerners go crazy for—and for good reason! Whether you’re after a gourmet meal, a sunrise SUP along Noosa Main Beach, or a hike through the stunning Noosa National Park your days will be well and truly taken care of here. Kickstart your trip with Pilates by the Sea in nearby Sunshine Beach (we recommend following with a coffee from FOMO or Sum Yung Guys for modern Asian fusion). Noosaville is a buzzing riverside village just inland from Noosa and is home to Nauticycle Noosa (that’s cycling on the water, FYI) which sounds like one hell of a good time if you ask us. While you're in town, replenish at some of our favourite spots: Thomas Corner Eatery, Belmondos Organic Market, and Noosa Boathouse. If you’re craving a lazy afternoon drive, head into the Noosa hinterland and try Copperhead Restaurant and Brewery in Cooroy or the rustic Bonsai Brewhouse in Cooran. Alternatively, chuck your walking shoes on and make a beeline for the Noosa Trail Network’s hinterland walking tracks and views. Don’t forget to stop by a farm gate on your way home for some of the region’s best produce (such as Cooloola Berries, Hinterland Feijoas or Noosa Reds tomato farm). A rainforest holiday is just what the doctor ordered if you ask us. The Hinterland’s vibe is indescribable; it’s rejuvenating and calm, yet you’ll never be bored. Climb Mount Ngungun in the iconic Glass House Mountains that’s over 253m high and is pretty much to closest you’ll get to being on top of the world. Plus, the summit has 360 views of the region. Be sure to pack your swimwear and check out Kondalilla Falls and tick "swimming under a waterfalls" off your holiday list. You can’t visit the Hinterland without stopping by the iconic Eumundi Markets. The ethos of the markets is “we make it, bake it, grow it, sew it” so all of the 600 (plus!) stores are fresh, local and delicious. 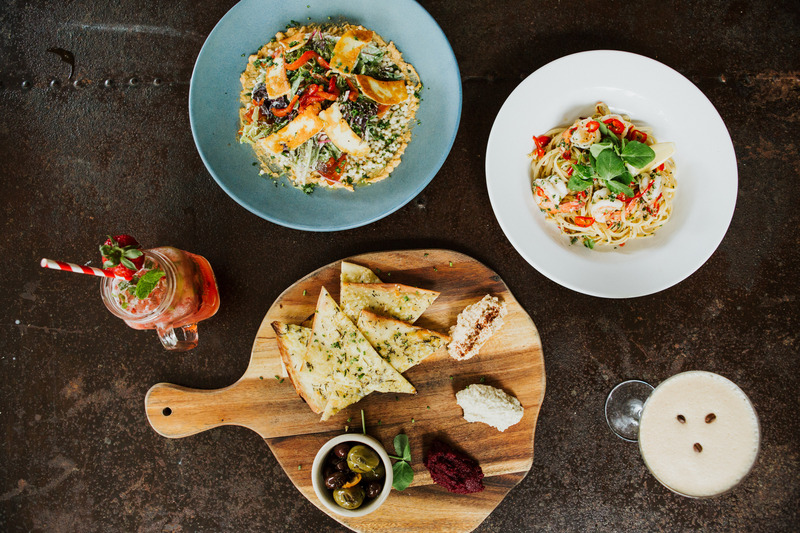 If you’re still hungry, check out Brouhaha Brewery, The Bohemian Bungalow Restaurant & Bar, and Maleny Food Co. The foodie scene isn't the only creative situation on the Sunshine Coast, though, so be sure to check out the Sunshine Coast Art Trial, too. White sandy beaches means any time spent in Mooloolaba will be akin to being in paradise. Beyond the beaches, you can check out the calm, waters of Cotton Tree. Our tip is to hit up Deep Love Picnics for a gourmet picnic platter made up of entirely local produce, a bouquet of flowers, and a complimentary bottle of wine—just add a sunset! If you’re after a delicious meal, head to Spice Bar or Augellos, or Backlane Tapas and Wine Bar. If you’re craving a little less relaxation and more adventure, grab a kayak from Hire Hut Mooloolaba or head to Coolum Surf School. Caloundra takes the coastal vibes to the next level with award-winning beaches, thriving coffee, craft beer, and market scene (not to mention a pumping social calendar). Head to Kings Beach as your first stop in Caloundra, before taking the 25k walk from Golden Beach and stopping in at the Sandbar Café and Kiosk. If you’re after a faster pace, head to Caloundra Jet Ski for a 90-minute ride through tranquil mangrove-lined waterways (there are SUP and kayak options from Golden Beach Hire if you’re feeling a little slower). Don’t forget to hit the Caloundra Street Fair for a shopping spree before pausing for cocktails at 26° Bar and Venue in Rumba Beach Resort. Oh, and don’t you dare head to this neck of the woods and not stop by Moffat Beach Brewing Co.
Book your Sunshine Coast trip ASAP, because these flights run out on the 26 of November! Editor’s note: this article was produced in partnership with Visit Sunshine Coast, Tourism Noosa and Sunshine Coast Airport. Thank you for supporting the sponsors who make The Urban List possible. For more information on our editorial policy, click here.